Last week I found myself in a spot that I don’t like to be in. A couple of times. 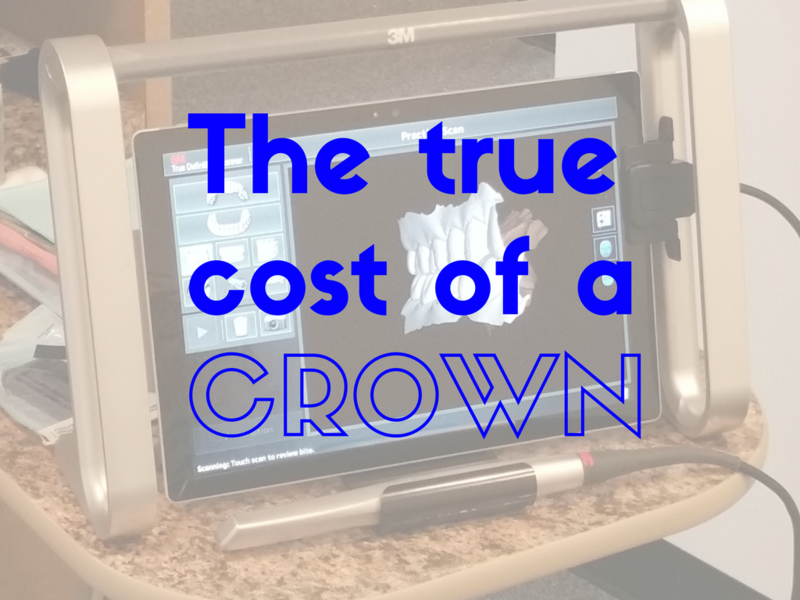 I found myself preparing a crown on a tooth that was in much worse shape than I would like. One case was a new patient that I had just started treating. The other patient was one that had waited on treating the tooth until it broke. We had diagnosed an “incomplete fracture” on the tooth some months (years?) 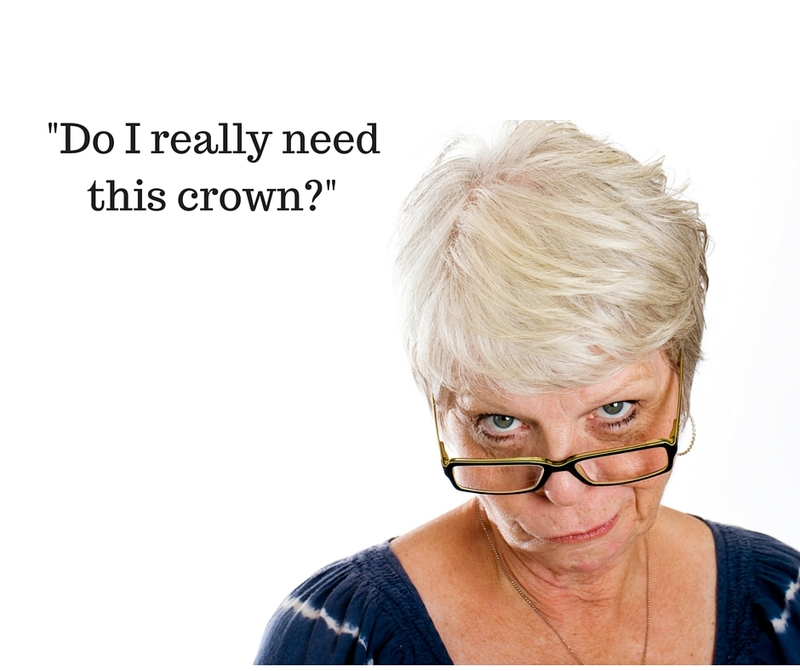 before and recommended a crown, but for whatever reason the patient had decided to wait. As I’ve discussed in the past, most dental problems don’t hurt until they’re a big problem. cracks: the way teeth are designed is interesting. The outer enamel layer is very brittle and it’s stuck to a deeper dentin layer that is slightly softer which surrounds the pulp (nerve, blood vessel and connective tissue) which is soft and gooey. This is some amazing structural design, but as you age and your teeth are filled, heated, cooled and used for biting…they can develop cracks. Sometimes the cracks are superficial, sometimes they are deep. 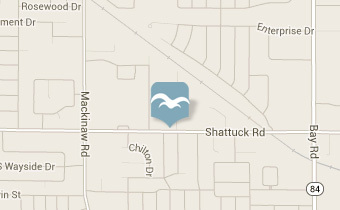 The good news is that at Mead Family Dental we’re pretty good at finding them. 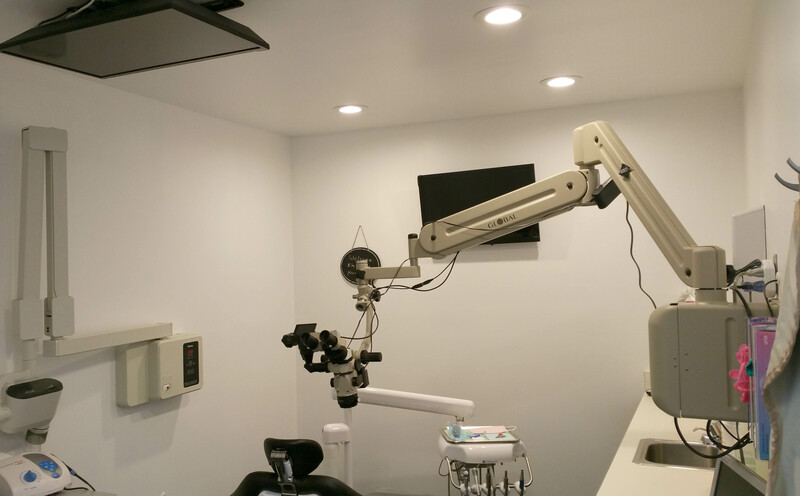 The microscopes that we use throughout the whole office are great at helping us see fractures in teeth…often before they become a big problem. wear spots: as you age, you wear your teeth. Some people wear their teeth significantly more than others. Just like tires, once you’ve worn your teeth down, they don’t fix themselves! existing restorations that are failing: What do you mean my filling broke? It’s only been in there for 15 years! I wish every restoration I placed would last forever, but that’s not how it works. Ask yourself this question: has it ever seemed like you just bought a new set of tires and then you see that you actually got them 50,000 miles ago? Yeah…restorations in teeth seem kind of like that, too. decay under an existing restoration: Your mouth is full of bacteria and your teeth are covered in biofilm…even if you’re a terrific brusher! Those bacteria are tiny and all it takes is a small leak in a filling or crown for them to sneak underneath and start multiplying. It happens to the best of fillings and crowns. Luckily, we can usually fix that decay so long as we are able to catch it early. 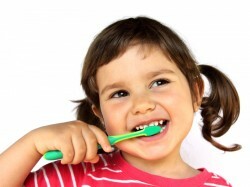 Your adult teeth have been functioning in your mouth since you were about 6 years old. They’ve been through a lot. Accidentally biting an olive pit, millions of hot—>cold and cold—>hot thermocyles (have you ever eaten ice cream while drinking coffee?) and hundreds of thousands of acid attacks. Frankly, teeth hold up amazingly well considering what we put them through. There’s no shame in having to reinforce what you were born with. In fact, I would suggest that it’s best to do this as soon as any of those signs start showing up. Here’s the thing…the longer we let the problem go, the more difficult it is to fix. Ask any dentist and they’ll tell you. It’s much easier to save a tooth before it’s broken than after. Small cavities are much easier to deal with than big cavities. I’d much rather do an onlay on a tooth now than wait until it needs a root canal. I realize this sounds incredibly self serving for the guy who gets paid to fix your teeth to tell you that you should jump on things earlier than later. But remember, I’m a giant wuss when it comes to delivering bad news. 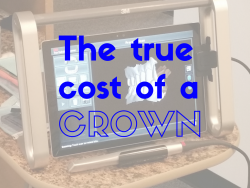 I’d much rather place a really well fitting crown on a tooth with a healthy nerve and gums and solid bone to support it. The longer we wait on cracks, decay and failing restorations the worse the outcome is likely to be. No dentist wants to “make the save.” Teeth that have these problems are more difficult to clean up, more difficult to impression and more difficult for the lab to make an ideal restoration. So, the moral of the story is…don’t wait! Often times I can make the save. But I’d much rather not have to! Did this make you feel safe? Did it make you want to only eat soft and lukewarm things? I’d love to hear about it! You can share any Mead Family Dental post with a “Like” on Facebook, a “+1″ on Google+ or you can even “Tweet” it with Twitter! All you need to do is hover over the heart shaped button next to the title of the post. Or you can leave a comment by clicking on the balloon shaped icon next to the title. It’s one of the most universal recommendations in all of public health: Floss daily to prevent gum disease and cavities. Apparently the federal government has been recommending flossing since 1979 in a Surgeon General’s report as well as the “Dieteary Guidelines for Americans.” However, anything that the federal government recommends is required to have an adequate evidence base to be considered. It turns out that flossing hasn’t really been researched very much. In order for the federal government to recommend something it has to be able to point to a pretty serious body of research. Earlier this year the federal government removed it’s recommendation for flossing with little fanfare. After the AP requested the evidence the feds used to recommend flossing…they caved. If you take a look at the research base, they’re right to have caved. The best studies on flossing that they have are not convincing. They kind of had to remove the recommendation to be consistent with their standards. I understand what they did and cannot fault them. Here’s the thing…there will be no rush to research flossing. The research design would be difficult and expensive and I doubt that there is the will for it. Everyone’s teeth are covered with a layer of gunk called biofilm. 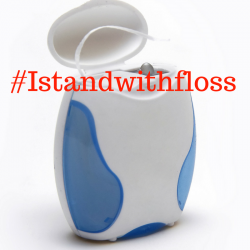 It doesn’t matter how well you brush them and floss them, they’ve got biofilm on them. When dentists and hygienists accuse you of not taking care of your teeth they call this biofilm “plaque” and they get all bent out of shape that you have lots of it on your teeth. We’ve been instructing patients to do their very best to remove this plaque from their teeth for as long as we’ve been in the profession. The goal is to remove as much of the biofilm as you can. So you brush. And that can remove a lot of the biofilm. But there are places your toothbrush can’t get to. What is a person to do? The research says flossing doesn’t work. So I guess you should just leave that gunk sitting in between your teeth, right? Do me a quick favor. Grab a long piece of floss and wrap it around your fingers. 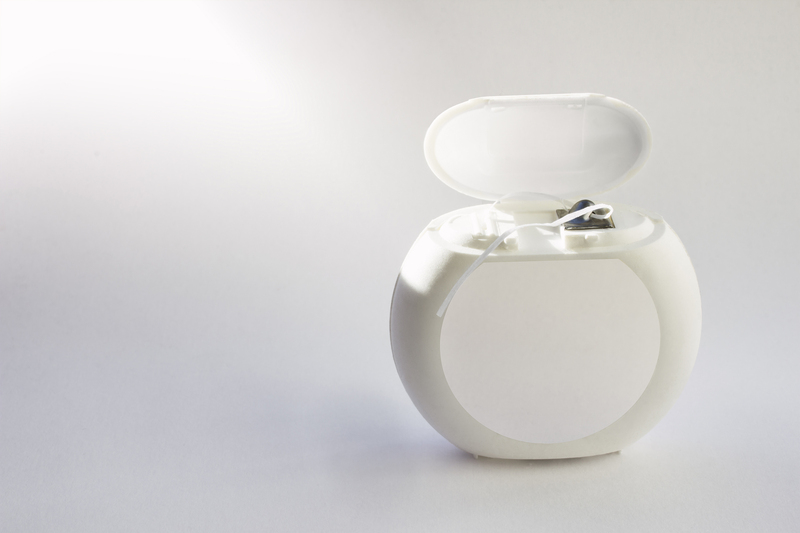 Slide that floss in between a few pairs of teeth, wrap it in a “c-shape” and gently stroke up and down. Then take that floss out and take a good hard look at it. Is it clean as a whistle or does it have a bunch of gunk on it? If you’re like virtually every patient I’ve seen, it will have a little gunk on it. The problem is the research, not the flossing. Maybe the design of the studies hasn’t been adequate. That’s a huge problem in medical research. Often times we think we’re measuring one thing when we’re not measuring that at all. You’ll notice that the evidence hasn’t recommended against flossing either. Flossing has been an accepted recommendation by dentists and hygienists for so long that it is no longer a hotbed of research inquiry. Getting back to what a dentist or hygienist should recommend to patients: if our goal is to remove as much biofilm from our teeth and gums as possible, flossing does that. I don’t actually need peer reviewed research to observe that. (of an argument or statement) seeming reasonable or probable. The idea that flossing helps remove biofilm, which in turn helps reduce a person’s risk for cavities and gum disease is plausible. An idea that is plausible, even if it doesn’t have tons of great evidence, is worth keeping around. 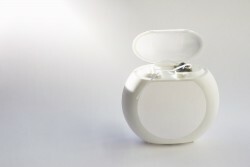 Flossing is not expensive nor is it risky. It observably removes biofilm from in between the teeth that brushing cannot always get. And even though our current level of evidence does not allow the federal government to recommend flossing, it is still likely a worthwhile effort. Did this make you feel plausible? Do you feel like flossing? I’d love to hear about it! You can share any Mead Family Dental post with a “Like” on Facebook, a “+1″ on Google+ or you can even “Tweet” it with Twitter! All you need to do is hover over the heart shaped button next to the title of the post. Or you can leave a comment by clicking on the balloon shaped icon next to the title. I remember when Bubble Yum bubble gum came out. Wikipedia says it was in 1975 and that feels about right. I remember commercials with a puppet that was trying to steal a kid’s Bubble Yum. I also remember the gum itself. It was the first “soft chewing” gum in memory. Before Bubble Yum, it was either sticks like Trident or rock hard little nubs like Bazooka. Bubble Yum made chewing gum more fun. It also had a ton of sugar in it. So much you could feel the little grains of sugar as you bit into it. It was glorious, but it promoted tooth decay. The rare times we were allowed candy (yep, my dad was a dentist) I usually chose grape Bubble Yum. 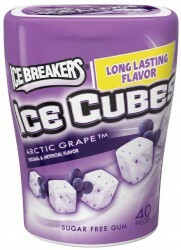 It was one of the flavors that defined my childhood! Fast forward about 40 years. My diet includes things that cause tooth decay. The saliva in my mouth is a natural defense mechanism of my teeth. 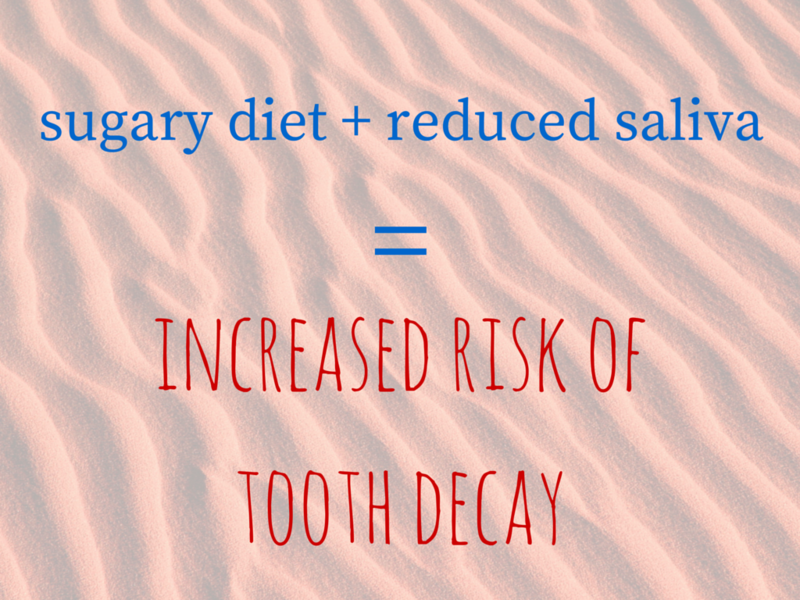 Healthy levels of saliva can keep the acid that causes cavities in check. I’m not alone. I see lots of patients with decay problems. They have sugary diets, too. And many of them have a dry mouth as well. Any time a person takes more than one medication (which is very common) there is a high likelihood that their medications has induced dry mouth. Dentistry has done a terrible job with dry mouth. We see it all the time. We can explain to our patients why they might experience it. But we don’t have much in the way of treatment for it. We can offer dry mouth rinses and toothpastes, but my patients that have tried them overwhelmingly feel like they don’t work very well. 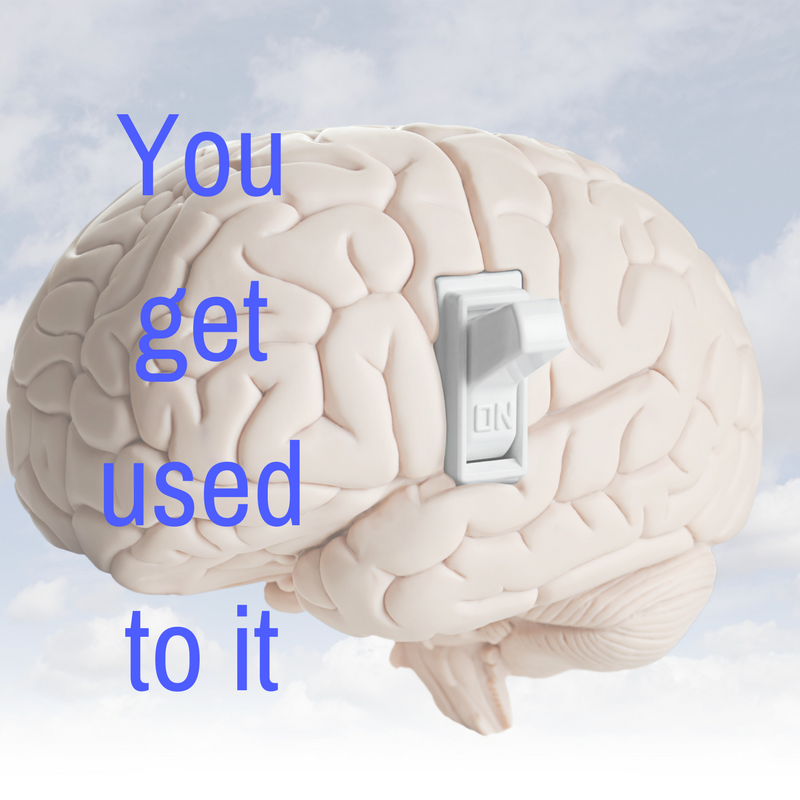 I don’t recommend that patients change their medications to treat blood pressure, depression or anything else. So mostly people just live with dry mouth. I’ve found a solution that takes me back to my childhood. No, it’s not grape Bubble Yum. But it tastes and chews almost exactly the same. 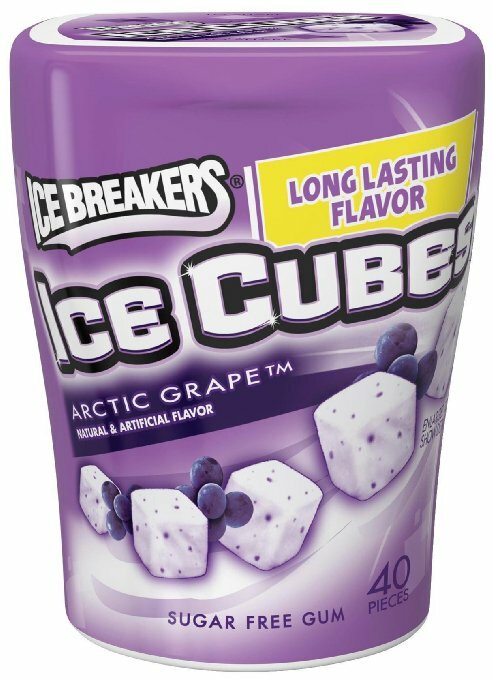 I’m here to tell you that Arctic Grape Ice Cubes gum is my suggestion for dry mouth. It’s as close to a perfect solution for dry mouth as I could invent. It’s delicious. It tastes identical to the Bubble Yum I remember from the 70’s. Right down to the little grains of sugar. Except that it’s actually sugarless. It really increases your saliva. Pop a couple of pieces in to chew and your mouth becomes flooded. It’s nothing short of amazing! The flavor doesn’t last very long. After about 5 minutes the flavor is essentially gone. After the flavor is gone I recommend you throw it out. Gum chewing can actually be harmful to your muscles and TM joint if you do it for too long. It’s sugarless. So even though it tastes really good, it won’t promote tooth decay. In fact, it’s flavored with xylitol which is known to inhibit acid production by the bacteria in your mouth in high doses. The amount of xylitol in this gum isn’t clinically proven to do that, but it’s still better than using sugar to sweeten the gum. The best treatment I’ve found for dry mouth takes me back to my childhood. How cool is that? Did this make you feel juicy? I’d love to hear about it! You can share any Mead Family Dental post with a “Like” on Facebook, a “+1″ on Google+ or you can even “Tweet” it with Twitter! All you need to do is hover over the heart shaped button next to the title of the post. Or you can leave a comment by clicking on the balloon shaped icon next to the title. Every dentist has experienced it before. Patients refuse x-rays because they don’t want to be exposed to too much radiation. What is “too much radiation?” That’s a great question. Medical professionals have been taught since the 1940’s that medical and dental imaging carries a tiny chance of increasing a person’s cancer risk, no matter how low the dose. The model that we were taught is called the “linear no-threshold model” (LNT) and it basically claims that any dose of radiation, no matter how small, carries an increased risk of causing cancer. As dentists, we are supposed to weigh this tiny (but not zero) increase in risk against the benefits of whatever x-ray image we wanted to see. New research published in the American Journal of Clinical Oncology has re-evaluated the original research that we based the LNT model on and has found it to be unconvincing. The original research was performed by exposing fruit flies to various doses of radiation. The damage at each level was measured and the research made the assumption that there is no completely risk-free level of radiation. In the LNT model, the well-established cancer-causing effects of high doses of radiation are extended downward in a straight line to very low doses. The LNT model assumes there is no safe dose of radiation, no matter how small. However, the human body has evolved the ability to repair damage from low-dose radiation that naturally occurs in the environment. Basically, the radiation doses that were studied in the 40’s were much to high to extrapolate into low dose medical uses of radiation. 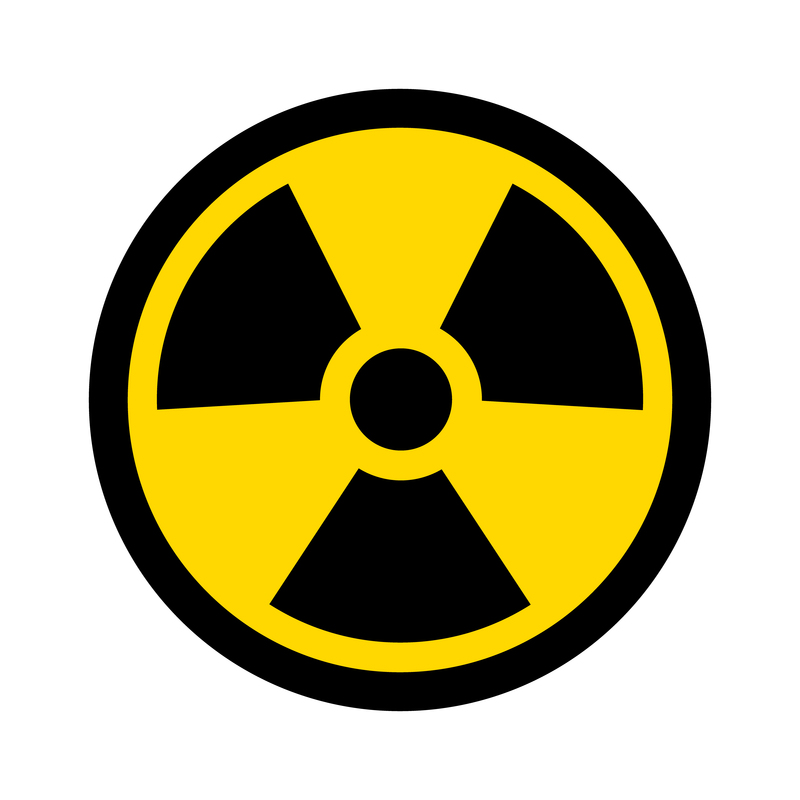 We’ve based our concerns about x-ray radiation on doses that are much higher than those experienced by patients. The recent paper was specifically about CT scans, which actually have a much higher exposure to radiation than dental x-rays. As a profession, dentistry has gone out of its way to expose patients to as little x-ray radiation as possible. But many patient still balk. 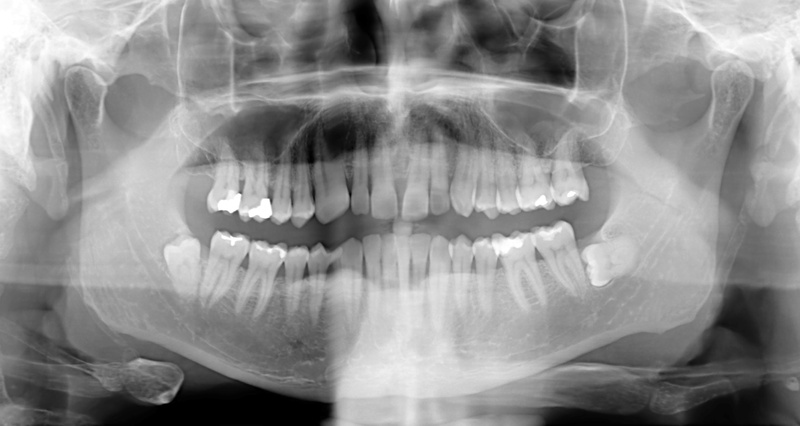 The effectiveness of x-rays for dental diagnosis cannot be underestimated. But not only are they effective, current research suggests that they are completely safe. 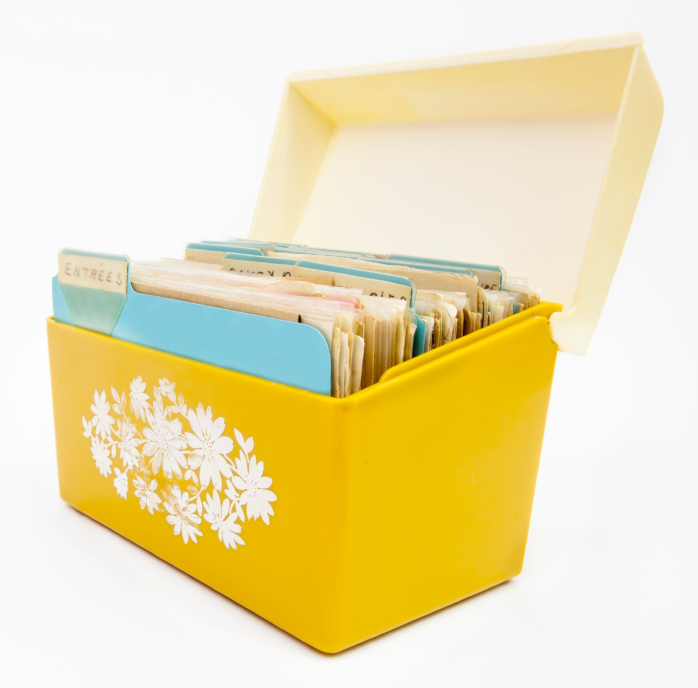 Did this make you feel radiant? Do you feel relieved? I’d love to hear about it! You can share any Mead Family Dental post with a “Like” on Facebook, a “+1″ on Google+ or you can even “Tweet” it with Twitter! All you need to do is hover over the heart shaped button next to the title of the post. Or you can leave a comment by clicking on the balloon shaped icon next to the title. A couple of days ago a friend was complaining to me that he had gotten something stuck between his teeth. He’d had lunch at a barbecue joint and wouldn’t you know it he had some brisket jammed between his molars. He was looking for a toothpick or a straw to get it out because it was kind of uncomfortable. So I whipped out the floss that I carry in my pocket and rescued him. It took him about to seconds to snap the offending piece of brisket out and he was good to go. “I’m lucky you’re a dentist,” he said as if it’s a given that dentists don’t go anywhere without floss, a toothbrush and maybe a spare dental mirror for good measure. The reality is my dirty little secret. In a perfect world, the contacts between your teeth are tight enough that normal chewing doesn’t wedge food between them. Too tight makes it so flossing to remove plaque and food debris is difficult or impossible, but too loose means food can become impacted. Food impaction is an inconvenience to be sure, but it can become a problem. A spot where food impacts is more prone to decay simply due to the fact that you cannot remove the debris. The bugs (and by bugs, I mean bacteria) that sit there will metabolize the sugars in the impacted food into acid. When the pH of that part of the mouth reaches a critical level (5.5 to be exact) then the enamel of your teeth will start to dissolve. The longer impacted gunk sits there, the greater the chances that the pH can drop into dangerous levels and cause cavities. Impacted food can also cause gum problems. I’ve spoken with periodontists (gum specialists) that have removed popcorn kernels from gum abscesses. People with gum disease are more prone to food impaction because their teeth are slightly more mobile than those without bone loss around their teeth. 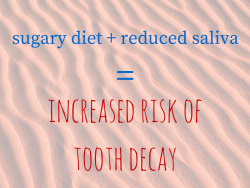 The bottom line is that places where food gets impacted are at greater risk for cavities and gum disease. Why do we have spots where food gets stuck? Well, some people have naturally loose contacts between their teeth. As I mentioned, people with gum disease are definitely more likely to get stuff stuck in their teeth. If you have a broken or badly decayed tooth they will often be a spot that holds food debris. Finally, dental restorations like fillings or crowns can have inadequate contacts and be a risk factor on their own. How do we fix it? Well, if you have naturally loose contacts between your teeth I’m not going to “fix” them if they don’t have disease. Those folks need to be extra careful in their brushing and flossing habits. Contacts that are particularly annoying to a patient can usually be “closed” in a minimally invasive fashion if the patient chooses. 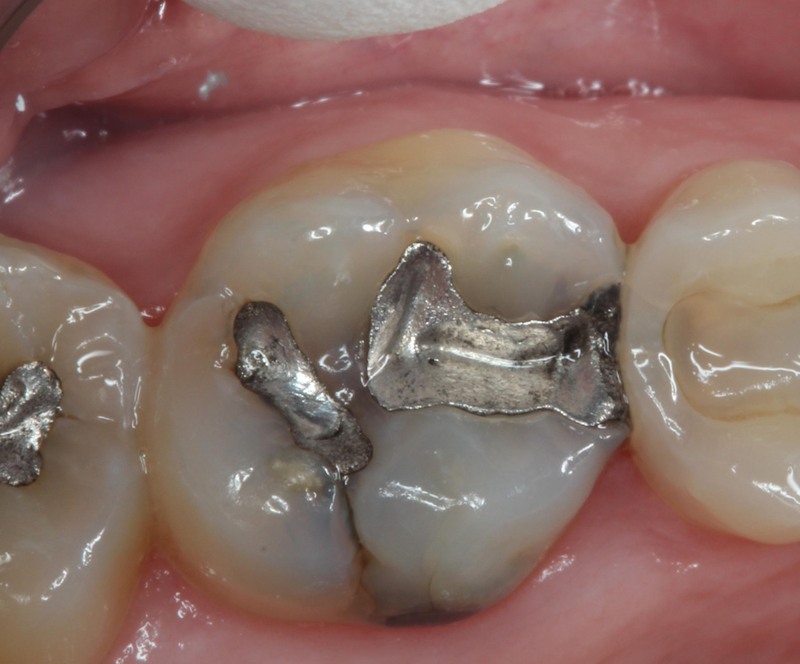 But if the loose contact in question is caused by decay or worse, the tooth is broken, we better fix it pretty fast! 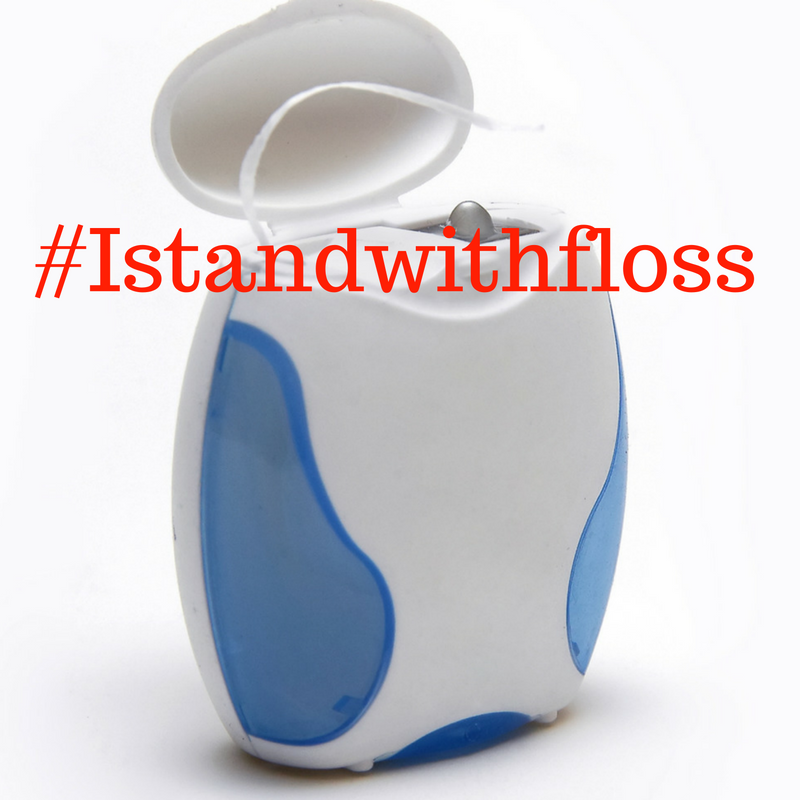 Dentists probably floss more often than regular folks, but there is no law that requires dentists to carry floss. I carry floss because I have two very loose contacts. Both of them are caused by restorations that have opened up over time. I need to get them fixed and I’ve been procrastinating. That’s my dirty little secret. It may surprise you that dentists are like other human beings…some of us put off treatment that’s necessary, too. But that’s no excuse! Let’s unite in our commitment to close open contacts! No more food impaction! Did this make you feel ashamed? Do you feel differently about dentists? I’d love to hear about it! You can share any Mead Family Dental post with a “Like” on Facebook, a “+1″ on Google+ or you can even “Tweet” it with Twitter! All you need to do is hover over the heart shaped button next to the title of the post. Or you can leave a comment by clicking on the balloon shaped icon next to the title. I’ve recently had several patients complaining of a “popping jaw.” In many cases, it’s not them who are complaining. It’s anyone that they have to eat with. When I do an exam I find that their jaw has a very noticeable clicking when they open. Sometimes it’s both sides, but more often it seems like it’s only on one side. Then, I ask the most important question that can be asked about a painless jaw pop. 9 times out of 10 I get the sheepish look. Busted. In fact, for some gum chewers it’s most of the time. If I were to generalize about who are my most common gum chewers/jaw poppers I would have to say that they’re probably female and in their mid 20’s. Sometimes a little older. And they probably needed a paper towel to throw their gum out before we cleaned their teeth. Luckily for them, they don’t have pain associated with the jaw pop. But as they age, that can change. I know what you’re thinking. 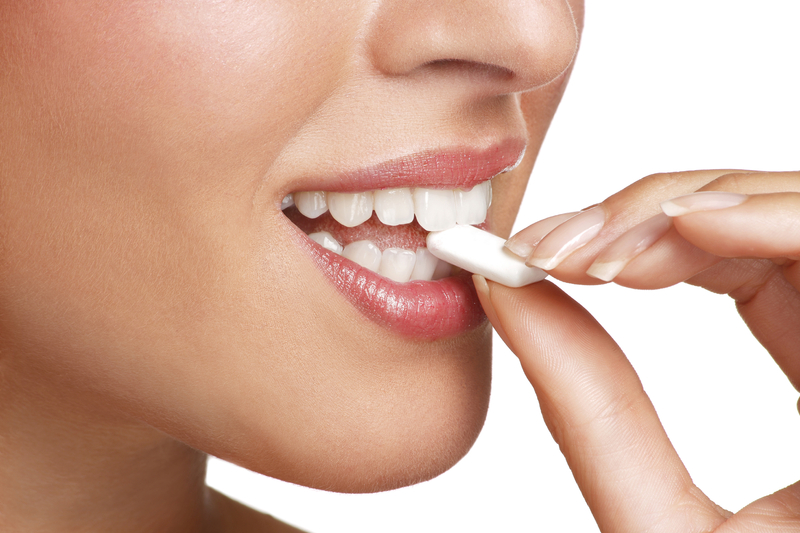 I’ve written about the magic of chewing sugarless gum for reducing tooth decay. It’s true. But if you go back and read closely I recommend 5 minutes or so. Not longer than it takes for the flavor to run out, anyhow. Chronic gum chewers are working out their chewing muscles and jaw joints. A lot. These are muscles that don’t need the extra workout, though. Since we have to eat to survive, our regular day to day chewing, talking (or yelling, if you have small children) and living are plenty of exercise. Overuse of the muscles of mastication (chewing muscles) and jaw joints creates greater risk for a popping jaw, headaches and even chronic pain of the neck. Have your knees ever popped when you run up the stair? I know mine do. That popping is a similar thing that goes on in your popping jaw joint. It’s a disk of cartilege and connective tissue that’s slipping between two bone surfaces. I know that’s gross sounding, but it’s exactly what’s happening. Now, did your knees do that when you were a little kid? Probably not. But as we age and, in some cases gain weight, we continue to put more and more stress on our knees. We’re overusing them. So these joints react. Sometimes they pop when they’re used. And sometimes they can become painful and need treatment. Gum chewing as a habit if a near perfect storm for jaw popping. I’m O.K. with a person chewing sugarless gum for a few minutes after meals and snacks. That can help prevent tooth decay and it can give you nice, fresh breath. But not for more than a few minutes. You could unintentionally causing problems for yourself down the road. Did you find this post snappy? Did it make you crackle? I’d love to hear about it! You can share any Mead Family Dental post with a “Like” on Facebook, a “+1″ on Google+ or you can even “Tweet” it with Twitter! All you need to do is hover over the heart shaped button next to the title of the post. Or you can leave a comment by clicking on the balloon shaped icon next to the title. My son Jacob is a bit of a neat freak. I mean, for a four year old. Sure, there are Legos strewn across the floor most of the time and his bed has a giant pile of trucks on it. But he likes to clean. What he really likes is the idea of cleaning. He likes the cool tools you can use to clean (vaccum cleaners, sink sprayers) and he likes to hang clean pans up on their hooks in the kitchen. So this morning he came up to me asking me to put soap in the dishwasher. At first I was a little worried at what I would find, but I was pleasantly surprised to find that he had simply put a glass in the dishwasher. He was ready to turn the dishwasher on and wanted me to help. So we proceeded to finish filling the dishwasher and started it. Then, he asked to help with the hand wash dishes. Naturally, he dragged a chair into the kitchen so he could be right in the middle of the action. We filled the sink with soapy water (extra bubbles, of course) and dove into the pots and pans. Like I said, the kid likes to clean. He grabbed a dishcloth and scrubbed with feeling! He was covered in bubbles and smiling, but the dishes weren’t really that clean. He missed the tougher spots. The pans were still pretty greasy. His little four year old hands didn’t quite have the manual dexterity that was necessary to get the job done. What he lacked in skill he made up with in enthusiasm, yet at the end of the exercise, I had to clean where he had missed. She looked at me like was crazy. “Well, no,” she said. I explained that he wasn’t quite ready to brush his teeth on his own. I use this analogy with most of the parents in my practice. Brushing teeth isn’t brain surgery, but it does need a certain amount of dexterity and attention to detail to get the job done right. Furthermore, a parent standing over a child looking directly at the surface that they are brushing (using the previously described “loving headlock” technique) is going to remove plaque and debris much better than the child can alone. 99% of the time you’ll find a clean mouth doesn’t get cavities, so it’s important that the job gets done well. When it’s a child, it’s less important who does the job. She’s adorable, but would you let her do your dishes? 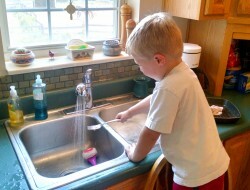 I think it’s great that Jacob wants to wash dishes and I’m glad that he does it! It’s just that he’s not ready to do it solo. Some kids are probably conscientious enough to wash the dishes at 7 or 8. Some kids probably shouldn’t be allowed to wash dishes at age 16! The parents definitely know them best and should make the judgement. I think the same goes for brushing teeth. If you’re a parent, you need to ask yourself the question. If they aren’t ready to do the dishes on their own, they aren’t ready to brush their teeth without supervision. Did you find this post soapy clean? Did it make you ask the question? I’d love to hear about it! You can share any Mead Family Dental post with a “Like” on Facebook, a “+1″ on Google+ or you can even “Tweet” it with Twitter! All you need to do is hover over the heart shaped button next to the title of the post. Or you can leave a comment by clicking on the balloon shaped icon next to the title.